Alright, I have sewed long enough on it. some sort of whack job, with an assist going to Barry Taff. This was essentially a hit piece by Bagans, as anyone with basic common sense could see, but for those without any video editing knowledge, I’ll break it down. First I want to draw attention to the fact that one generally doesn’t produce/promote a hit piece unless the subject in some way frightens the producer of said hit piece, so let that sink in, then ask, what does David say, or do, or have, that scares Zak so much? Why would Zak put so much time and energy into defaming Oman? It is very easy to make someone appear to be a goober (or worse) via creative editing. Also if you aim to do so you can set up shots in advance that further the goal. “Hey, David, sing looking up the stairs, would ya?” He does, it’s shot, but generally that’s the type of footage that is omitted, that a gentleman knows one only includes if there’s a contextual reason in advancing the story. Zak included it for his skew of the story, plain and simple. “Hey, David, give a sinister look for the camera.” David does. Splice that in at the right time and boom, crazy person portrayal. Everybody overshoots video and film in the off chance creative gold is captured, David knows this, so willingly participated in the process. He has been around the biz forever, and has even produced his own film. 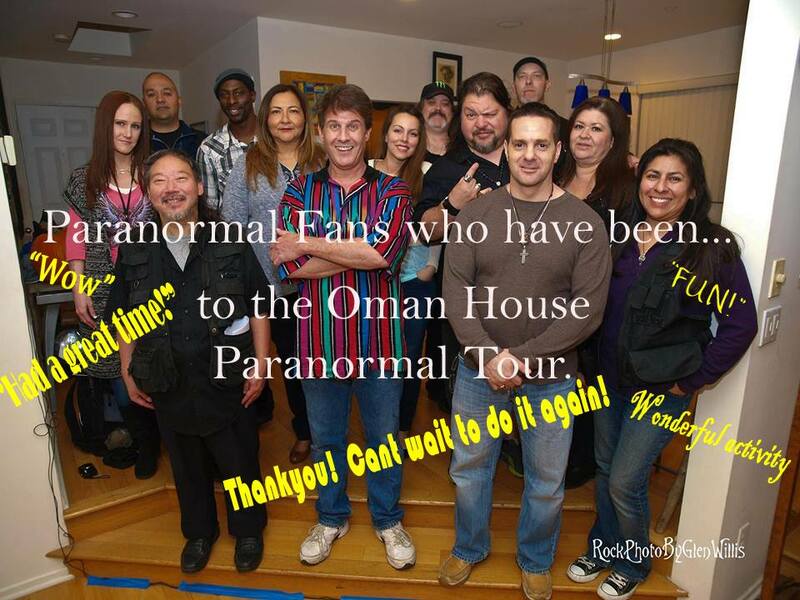 By the way, Did you know the Ghost Adventures episode at the Oman house was far and way the highest rated show Ghost Adventures has ever had? It was also responsible in large part for the show receiving a two year contract extension. I guess bullying is Zak’s way of thanking people. What do I know about David? So many positives that I could scarcely jot them all here. David is the one of the least douche like people I have ever met. David has an excellent sense of humor. David is far more intelligent than the average person. David is Vulcan. Ok, kidding, just seeing if you’re paying attention. David is generous. On and on it goes, and rather than make a Dave-Fest here, I’ll just stop. Does David have flaws? Yes, who doesn’t? But we’re not here to talk about him, now are we? 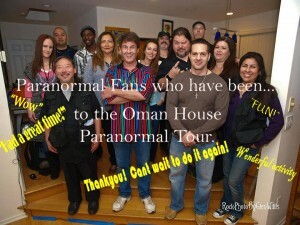 Mr. Taff, you say you have list of 61 people that have been to the Oman house, indicating that you spoke with them about their visit/s to David’s house. First I have to ask, why? You haven’t been there yourself in, what, 8, 10 years? So again, why would you feel a need for this “list.” Sounds a bit stalker-ish, but let’s say for the sake of argument that it’s part of your research. So let’s take up the next question: You say 42 of these people experienced some sort of medical condition after having visiting the Oman house? These are, of course, documented by a medical professional, aren’t they? Which then brings the obvious response: Produce the list of 61, including the 42 alleged to have been adversely effected, and the medical opinions. I’m thinking this list can easily have holes as big as the state of Texas punched in it. Oh, and another thing Mr. Taff, people are “capturing [mental] hallucinations on audio recorders and touting them as EVPs?” Errrrm, starting to doubt you here Taff old boy, a lot of us are. But that’s okay, because of course you can produce evidence of this phenomena, right? I know a lot of people that would LOVE to see that evidence. What do you say? Say, I got it, how’s about Zak comes over to your place with David, ya’ll can put a couple voice recorders onto a table, sit around in the dark and think your thoughts onto said voice recorders, all with cameras running. Better still, with cameras running, you guys can do it right at David’s house anytime. Unless of course you boys are afraid. You’re not a-scared are you? Will you accept this challenge? I’m thinking no. Why am I so confident of this? I have seen so many people go through the Oman house, and nearly everyone has a good time, and I have yet to see anyone have anything even close to being a negative experience. There’s no leg to stand on for Bagans and his tool, a hit piece is all it was, plain and simple, and their not taking this offer up will prove it. The claims made were baseless. Perhaps it’s only hazardous to the health of douchebags. You’re not a couple of douchebags.